Thursday morning, we were traipsing to the community bathrooms at beautiful Norris Dam State Park in Tennessee. Thursday night, we’re checking Gabby into the Atlanta Ritz-Carlton for the American Bar Association’s Law-Related Education national conference to talk with civics educators from around the country. The cool thing about Gabby is that she seems to love wherever she is! 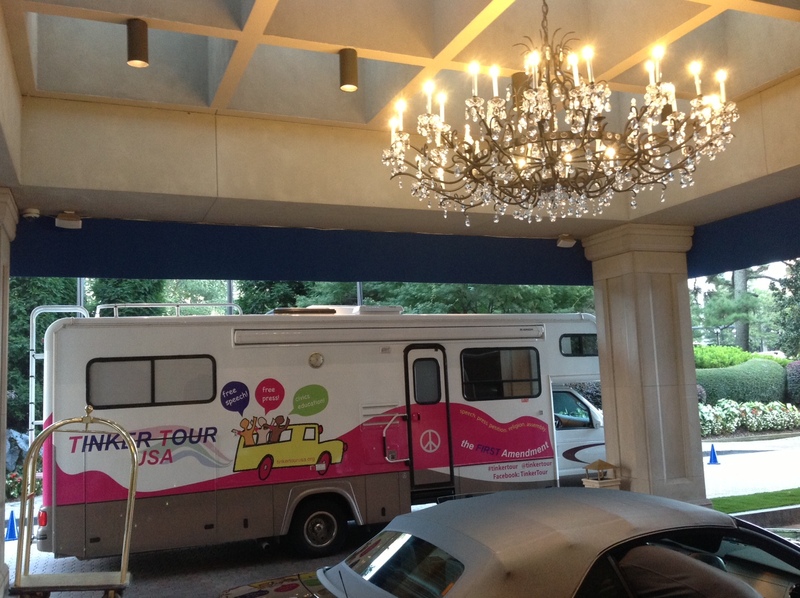 “Gabby” the Tinker Tour bus checking into the Atlanta Ritz-Carlton hotel Oct. 3.